Dana-Leigh has lived in West Horsley since 1990 and joined the board in October 2014. She has a Masters in International Relations from the London School of Economics, over 20 years experience in the global oil industry and expertise in project management and commercial business processes. Dana-Leigh is an active member of the Grace & Flavour community garden in West Horsley where she cares for 74 fruit trees. Her initial introduction to Shakespeare was a dull high school English class that only read Henry IV part II. GSC has changed all that! Kate has worked in central Guildford for 25 years. When not travelling for work, she really appreciates her local walk to work! Favourite Shakespeare play is King Lear – for the poignant beauty of the language and reminder that hope, love and forgiveness can overcome a bleak world. 'Speak what we feel, not what we ought to say’. Kate became a Trustee in February 2015. 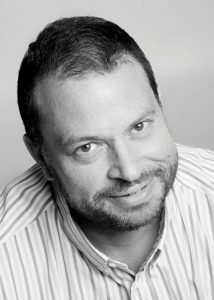 Alex joined the board as one its first Trustees in December 2010, and has lived and worked in Guildford since 2002. He has been in marketing for almost 20 years and brings both marketing and business experience, having run a successful marketing agency. Alex is currently a partner at OgilvyOne dnx. His passions are travelling, cars and being organised! His favourite Shakespeare play is The Merchant of Venice only just ahead of Henry V.
A politics graduate (York) and trained journalist (Highbury) Peter is Guildford born and bred, was educated at Cranleigh School and has been on radio in the local area for more than 25 years! 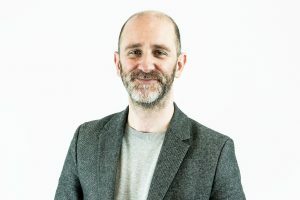 Originally starting with County Sound Radio, Peter launched Eagle Radio in January 1996 and has been the Programme Director and Breakfast show presenter ever since. He carries out programming management duties for Eagle’s parent company, UKRD, which has a number of radio stations and media interests throughout the UK. Peter also frequently appears in the pantomime at Guildford’s Yvonne Arnaud theatre – roles have included Ugly Sister and Nurse Nellie! Peter became a Trustee in April 2015. 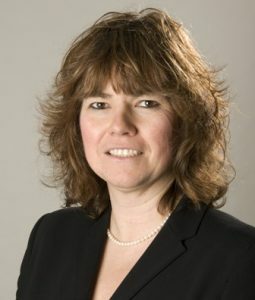 Jane is one of the original board members of GSC, joining in December 2010. Born in Northern Ireland, she has lived in and around Guildford on and off since the age of 8, and is from an old Guildford family! She went to Guildford High School and then trained as a Nurse at St Thomas'. She had a successful career as a Nursing Sister before attending Drama School. Jane enjoyed a varied Acting career in Television, Theatre, Musical Theatre and Film - largely comedy. She played principal roles in two West End productions before setting up Shepperd-Fox in 2005, a Theatrical Agency, of which she is the senior partner. Her favourite Shakespeare play is Twelfth Night. Karin became a trustee in October 2012. 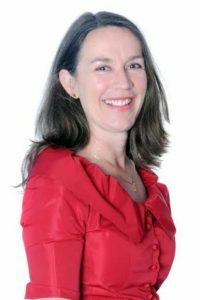 Her professional background is a family lawyer, running her own niche family law practice in Woking and currently chair of the national Resolution DR committee. As a partner in her previous Guildford based firm, and now through KGW Family Law, Karin has been a proud sponsor of GSC productions since 2008. Karin’s association with GSC supports her enthusiasm for the arts and the enrichment of the local community. She enjoys the theatre greatly and is overwhelmed by the standard of production repeatedly provided by GSC in the most atmospheric of locations. Karin lives locally on the Surrey/Hampshire border with her husband John and their two children where she enjoys her garden and the countryside with her two dogs. Jo was one of the original board members when GSC became a charity in December 2010. She served as its Chair until 2014. She first worked with GSC in 2008, directing The Comedy of Errors at the Bandstand in Guildford Castle Gardens. She returned the following year to direct The Two Gentlemen of Verona at the University of Surrey Lake. 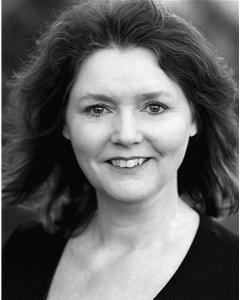 Jo is currently the Principal of LAMDA (London Academy of Dramatic Art), board member of the Regional Theatre Young Directors, and external Examiner for the LIR Theatre Academy, Trinity College Dublin. Her previous roles include Chief Exec & Artistic Director of Salisbury Playhouse, Associate Director of the Octagon Theatre, Bolton and Head of Education & Participation for Birmingham Rep.
We're delighted that in January she will be returning to Guildford as the new Chief Executive and Director of the Yvonne Arnaud Theatre.